A fashionable estate bronze finish combines flawlessly with etched ripple shades, making this Sea Gull Lighting chandelier sleek and sophisticated, while the energy saving bulbs make it practical. The 100 watt bulbs give off the ideal amount of light for any indoor application. If you are looking for a bold, new age accent for your home look no further. 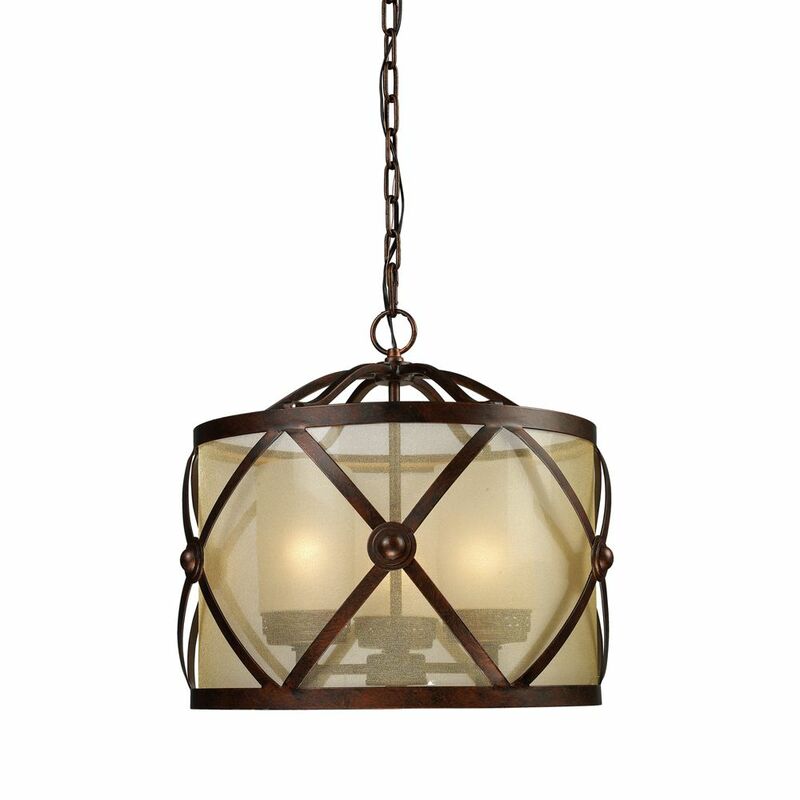 3-Light Ceiling Mount Classic Bronze Chandelier An outer drum made of criss-crossing iron finished in classic bronze encloses a light amber organza diffuser. An additional layering element is the matching finished mini- chandelier, within the fixture, that is properly accented with frosted blown glass shades.